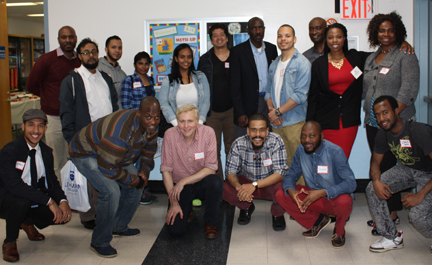 On April 1st, 2016 the School of Education hosted the “NYC Men Teach Orientation and Welcome Reception” for the spring 2016 Cohort. 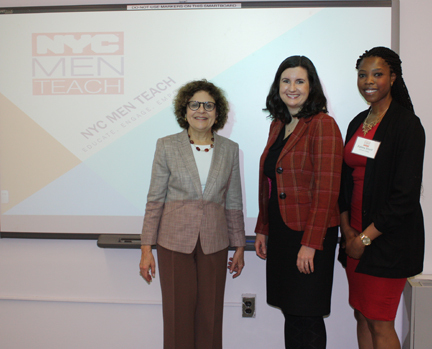 Twenty-four students were accepted and were welcomed by Dean Harriet Fayne, CUNY University Associate Dean for Academic Affairs Ashleigh Thompson, the Department of Education NYCMT Consultant Vincent Ricco, and the NYC Men Teach Program Manager Fatima Sherif. 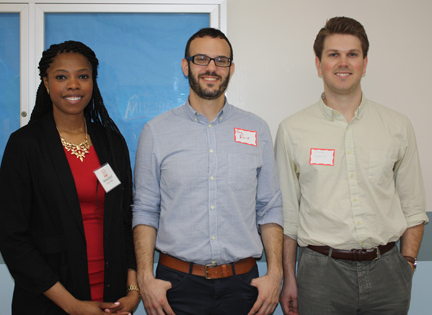 The students had a full agenda which included discussing the importance of working as an educator in New York City and the benefits of networking in all phases of their academic careers at Lehman College and beyond. In January 2015, Mayor Bill de Blasio, in conjunction with New York City’s Young Men’s Initiative, made a bold pledge: NYC will develop new initiatives and programs aiming to put an additional 1,000 men of color on course to become NYC public school teachers over the next three years! 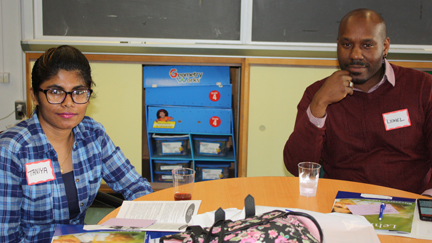 NYC MEN TEACH believes that a well-supported educator results in a better learning experience for all students. This outreach and recruitment strategy provides support aimed at keeping teachers of color in schools for at least three years. Right now, we are building out our Principals and Mentor Networks, and seeking counsel on culturally-relevant professional and leadership workshops, and identifying unique opportunities for participants to change the education landscape. Applications are now up and running for the Fall 2016 Semester. Please feel free to visit Carman Hall B-50 for more information and/or apply online.